Why implement a PunchOut Catalog instead of a CIF Catalog? If you don't have a PunchOut-enabled website, creating a CIF Catalog over a PunchOut Catalog is quicker. Just as quickly though, you realize both the supplier of the catalog and the buyer have their work cut out for themselves, which a PunchOut Catalog can overcome. There's no question creating a PunchOut Catalog from scratch is work. If you're a supplier, first you need to implement an ecommerce website, which involves organizing and populating a master product catalog with categories, explanatory descriptions, detailed specifications, collateral information, pricing, and images. Then you need to embark on the daunting process of enabling the website to support the PunchOut protocol and test it with all of the eprocurement systems the buyers use. Integrations pack more punch with the power of ERP. Contact Essent to learn more about PunchOutNow™ with a free consultation. 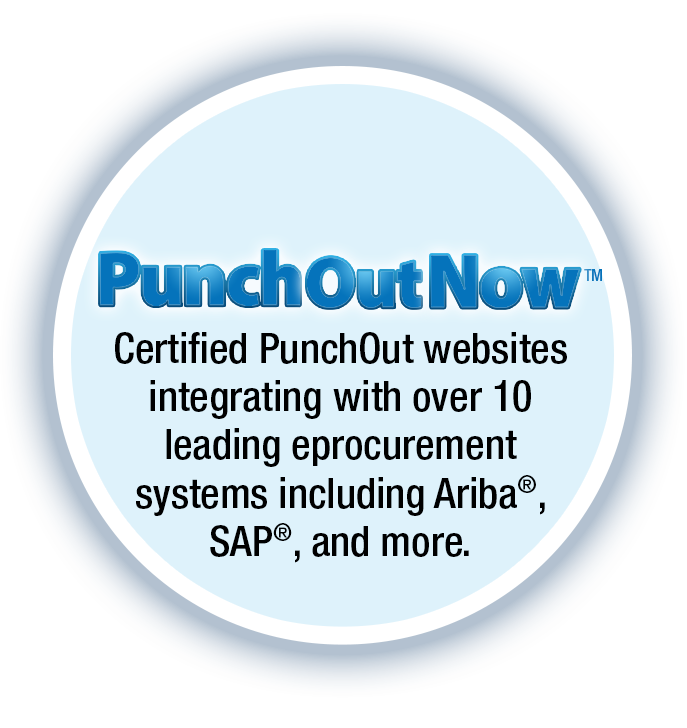 What Eprocurment Platforms Does PunchOutNow Integrate With? My Customer Says I Need a PunchOut. Now What? What is a CIF Catalog? Benefits of a PunchOut Catalog Website over a CIF Catalog? What is a Level 2 PunchOut?